After living in Florida for most of our lives, we discovered that we really haven’t seen all that our area has to offer. Armed with different Groupons and Living Social certificates, we’ve decided to visit as many different local places we can. We hope that some of the places we go will be of interest to you and inspire you to do some discovering of your own. If you know of a great local place that you want to see featured, send the information to nicoleh@ospreyobserver.com. Nicole Heubusch is the main author with Nicole Schoen’s additions in italics. First on our list was Florida Cane Distillery. It is located on Falkenburg Rd. and they currently produce vodka and moonshine. The products are made with Florida only ingredients like fruits, sugarcane and now jalapeño too, and are distilled right there on site. 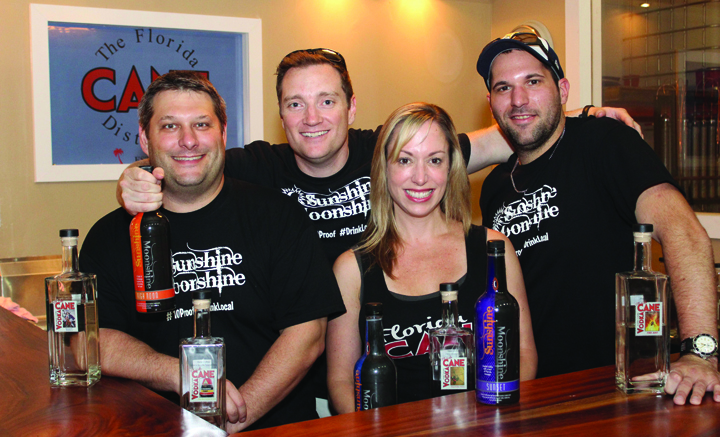 This company originated in 2012 with the concept of catching the best of Florida in every bottle. The vodkas come in different fruit flavors that all pay homage to local places, such as Orlando Orange, Beach Bum Berry, Weeki Wachee Watermelon, Okeechobee Cherry, Plant City Strawberry, Buccaneer Blueberry, Key West Lemon and Lime, Miami Mango and Gator Grape. They also have a Premium Vodka as well that is flavorless. In addition to the vodka, they have a few different moonshine flavors. 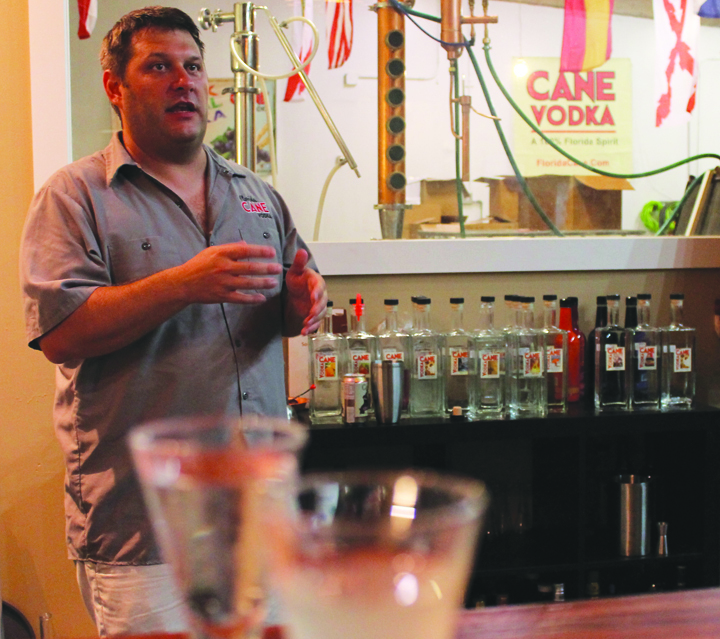 What’s so great about Florida Cane, is that they offer the “Distilling Experience,” and every Friday and Saturday you can visit Florida’s first Vodka tasting room. There is about a thirty minute presentation that explains the story of Florida Cane, as well as samples of the different vodka flavors. Let us warn you, it’s three samples of straight vodka, no mixer, and one sample of a mixed drink. Just be aware in case that’s something you don’t enjoy. Although the jalapeno vodka was tolerable since the spice masked the tang of the alcohol perfectly. This experience is completely free, you just need to make a reservation online. Just sign up for an available time and bring your I.D. They can seat about 20 people per presentation. Through the glass window at the bar, you can see the machines set up for the distilling. The most people they have working in the room where they distill at one time is eight. It was really hot in there; I think he said the thermometer said 105 degrees. They continuously experiment with new flavors. “We are trying to work on a pineapple and cantaloupe vodka. I keep messing around with a peach vodka as well, trying different things to get the taste right,” said Nelson. They have a few new concoctions coming up later this year. Peppermint Pomegranate will be released around the holidays, available in single bottles or gift boxes. Florida Cane will also be debuting its new gin line, Tamiami, which will be released on Saturday, November 1. They are also working on a whiskey line as well. It was very interesting to learn about the distilling process. It’s very different from wine or beer. It’s worth the trip, if you can find them tucked away in a glorified storage unit next to the Taco Bus. Florida Cane Vodka is a proud sponsor of the Tampa Bay Lightning, and they also participate in EPCOT’s Food and Wine Festival. You can purchase their vodka directly from them, or visit their Website for participating stores like Total Wine in Tampa. It’s also served at several restaurants in the area like the Tampa Bay Brewing Company in Ybor. They also host birthday parties and after-hours networking events. 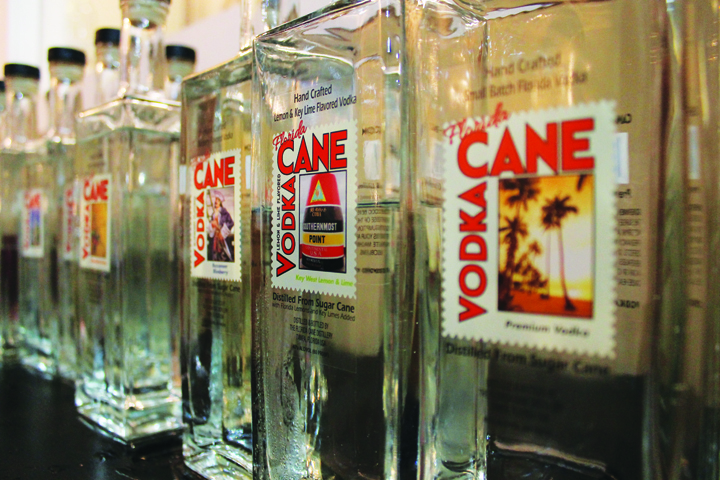 For more information, and to sign up for a tasting, visit cane-vodka.com. For any questions, call 347-6565 or e-mail info@floridadis tillery.com.